While the American Red Cross may seem like a timeless organization, it was still in its infancy as World War I broke out in Europe. In 1881 Clara Barton founded the American chapter after observing a Swiss model for the Red Cross she encountered while traveling in Europe during the American Civil War. Their mission was (and is) to “[prevent and alleviate] human suffering in the face of emergencies by mobilizing the power of volunteers and the generosity of donors.” Before World War I, the American Red Cross (ARC) worked in the Spanish-American War but on a much smaller scale than what was seen during WWI. During the early years of WWI, the American Red Cross struggled to send aid, support, and supplies as the American people were technically neutral. However, once the Americans joined the fight, citizens back home rushed to show their support and patriotism. The growth of the Red Cross ballooned as America entered WWI as individuals created and joined local chapters. Almost ⅓ of the American population claimed membership (20 million adults and 11 million youth) or volunteered (8 million adults) with the Red Cross by the end of the War. The Red Cross set up hospitals and convalescent homes in large countryside homes and estates–think Downton Abbey Season 2. Although some professional nurses found it difficult to be treated with respect and authority during the war with the military atmosphere. Nursing could often be “invisible” work, only seen by those sick or directly involved. While nurses can be seen as angels in white dresses, doctors assistants, or someone to listen to, nurses were the ones directly dealing with the administration of medicine and possibly saw themselves as the ones running the hospital’s daily function. Nursing was a relatively new professional career and many nurses were semi-trained or volunteers when they traveled to the front. Some women were able to serve in France, where Catholic nuns previously were serving as the country’s main form of nurse, if they were unable to find work back in America or Britain. There were some who faced criticism for the way they nursed, either too distant or too emotionally invested, and many struggled with understanding the trauma of what they witnessed. One of the most pressing areas of need was facial reconstruction after explosions or gas attacks distorted soldier’s faces. Nurses served with plastic surgeons or worked on making masks for the men to wear. However, while the war effort was coming to a close, the Red Cross faced a new challenge as the Spanish Influenza broke out across Europe and America. Post-war relief programs staffed and estimated 3,953 personnel working on both medical and social programs. Red Cross nurses were essential to the war effort and saving the lives of injured soldiers; while they may have smiled and put on a cheery front for the soldiers, the work they did was difficult and risky. While many female volunteers were nurses, women could find themselves working a variety of jobs while overseas. The Red Cross set up Canteens along railway and road systems to serve food and refreshments to traveling soldiers. There were also recreational tents and volunteers helped with correspondence back home, financial aid, showed movies and held dances. One account from a Red Cross male volunteer in France described one of these dances as a bit of patriotic fun: “Attendance at dances came to be regarded in the light of a religious duty, and the girls danced their young heels off for the delectation of Uncle Sam’s soldiers.” Although these men and women were dealing with the traumas of war on a daily basis, it seems that their attitude was to make the best of any situation. The Red Cross also famously passed out cigarettes and chocolate to soldiers on trains, “with that touch of sympathy which only a woman can give.” Regardless of where these women found themselves working, the Red Cross gave women an unprecedented role in the fight and, for many, a sense of high responsibility and duty in the role they served. For many women, volunteering for the Red Cross probably helped to give them a sense of purpose during these troubling years. They were able to help their country, their soldiers, and humanity as a whole through their care and aid. The work was difficult, gruesome, and often dangerous–330 women died while volunteering–yet these women are remembered as being positive and helpful. WWI can be seen as one of the first true tests of the capability of the Red Cross,and the organization came through as one of the greatest examples of humanitarian aid the world has ever seen. 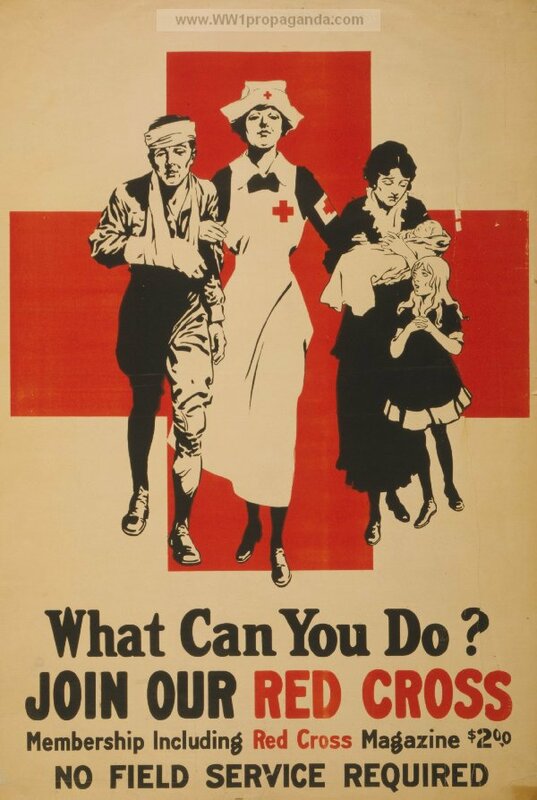 “World War I and the American Red Cross.” American Red Cross. Accessed November 18, 2015. http://www.redcross.org/about-us/history/red-cross-american-history/WWI. “The American Red Cross.” Home Before the Leaves Fall. Accessed November 18, 2015. http://wwionline.org/articles/american-red-cross/. Gavin, Lettie. American Women in the World War. Niwot: University of Colorado Press, 1997. 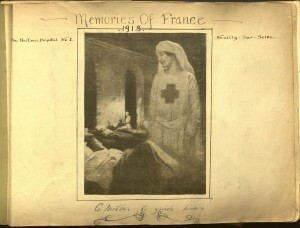 Hallett, Christine E. Containing Trauma: Nursing Work in the First World War. New York: Manchester University Press, 2009. Harrison, Carter H Captain A.R.C. 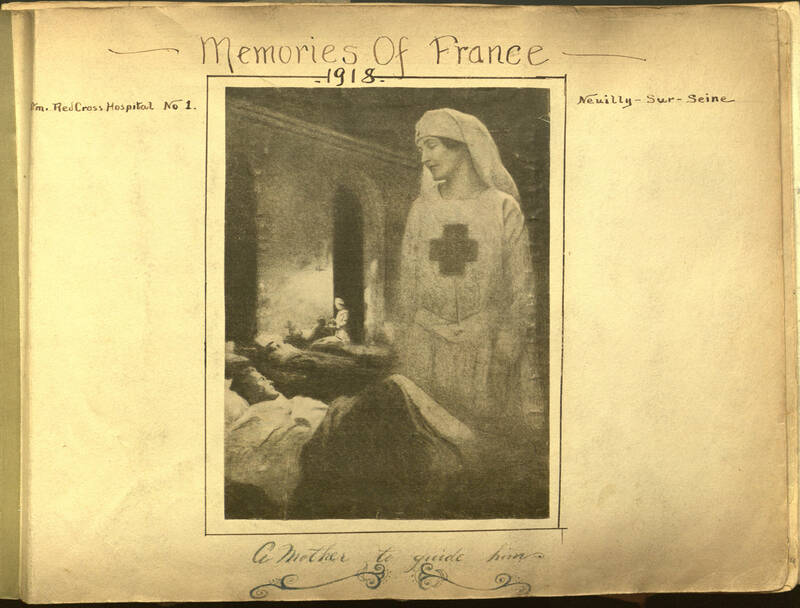 With the American Red Cross in France: 1918-1919. Ralph Fletcher Seymour, Publisher, 1947. “Mission, Vision and Fundamental Principles.” American Red Cross. Accessed November 18, 2015. http://www.redcross.org/about-us/mission. Lettie Gaven, American Women in the World War. (Niwot: University of Colorado Press, 1997), 183. Christine Hallett, Containing Trauma: Nursing Work in the First World War (New York: Manchester University Press, 2009), 6.